Jim Cottrell, ski instructor and owner of the French-Swiss Ski College in Blowing Rock. 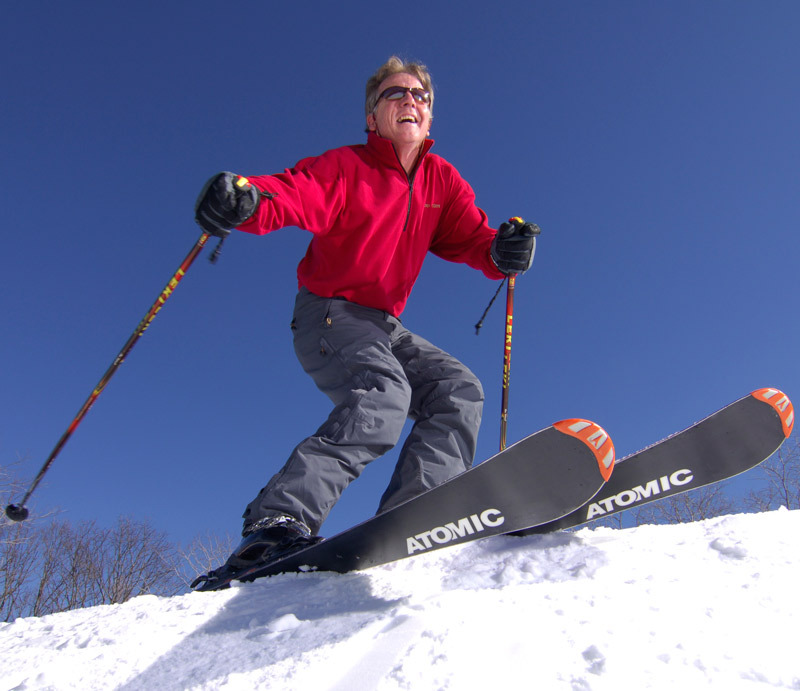 This avid skier hits the slopes sixty to eighty days a year. He’s developed training programs for a wide range of clients, from Boy Scouts to Green Berets, and he literally wrote the book (Skiing Everyone) on ski instruction. What sets this area apart? 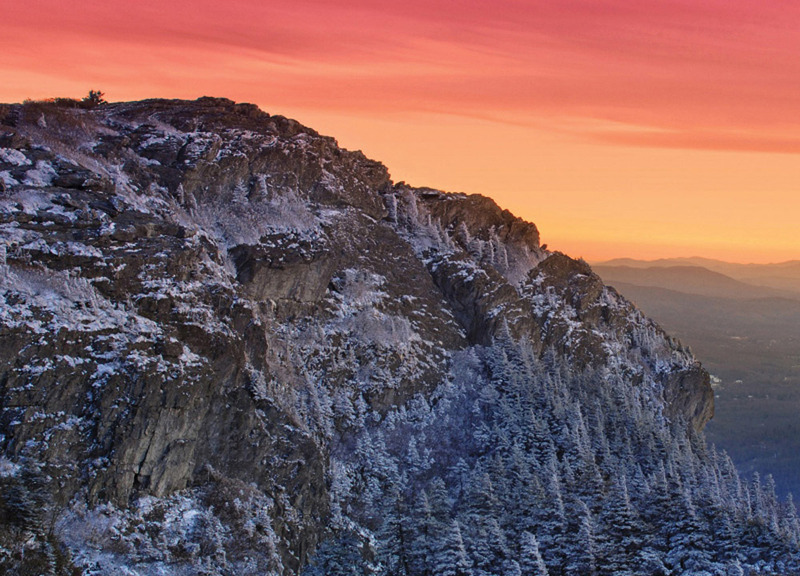 The High Country is known as the ski capital of the South with the highest elevations in the eastern United States. Yes, higher than Vermont. There are three ski resorts within thirty minutes. Each has a different character, and all are worth visiting. 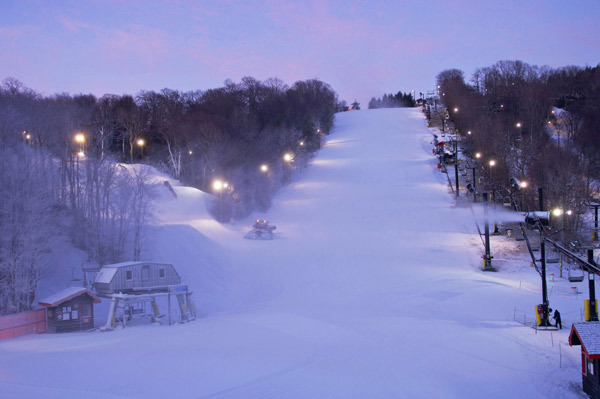 Natural snow combined with machine-made snow ensures skiing from around Thanksgiving until late March. The High Country is a great place to learn to ski or snowboard and is within driving distance for most Southerners. What’s the best way to prepare for a day of skiing? Check the weather, and dress in layers for changing conditions. Eat well and stay hydrated by drinking lots of water. Be sure to protect your skin and eyes, as there is a lot of glare and reflection off the white snow. Allow an hour of preparation time and carry a bag for all your stuff. What time should you hit the slopes? I almost always advise going early because it’s the least crowded and the snow is at its best. Again, watch the weather, as conditions change constantly. Snow sports are fun though, so if you are a late riser, it’s ok. Relax and enjoy. The mile-and-a-half run from the top of Sugar Mountain is my favorite. There are several options from lower intermediates to the steepest sections in the region. You can have a long run on a slope that matches your ability level. Personally, I like fast over steep, but you can pick the terrain that makes you smile. What’s the best way to wind down afterward? The scenery in the mountains is incredible, so slow down and enjoy. Chat with friends or make new ones. Winter sports are social, meaning the people who come to the slopes are there to have fun. Where do the locals go for a brew and bite to eat après-ski? The High Country has a lot to offer, seeing as it’s been a tourist destination since the 1920s. There are three ski towns within thirty minutes, and each has it après-ski favorites. In Blowing Rock, there are Canyons and the Bistro Roca Antlers Bar. The owners are skiers, and from Canyons, there are fifty-mile views, well worth the visit. Both have fun bars and good food. At Beech Mountain, try the Beech Tree Bar & Grille in the village or Jackalope’s View. At Sugar Mountain, there is a good bar in the base lodge and the German beer is a good choice. Nick’s is just down the road with lots of locals and music. In Boone, enjoy quaint dining at Joy Bistro, sushi at CoBo, and a Jean Lawson sandwich—turkey, marinated mushrooms, onions, green peppers and pepper cheese on a Kaiser roll—at Pepper’s. When you’re not on the slopes, what other activities do you enjoy in town? 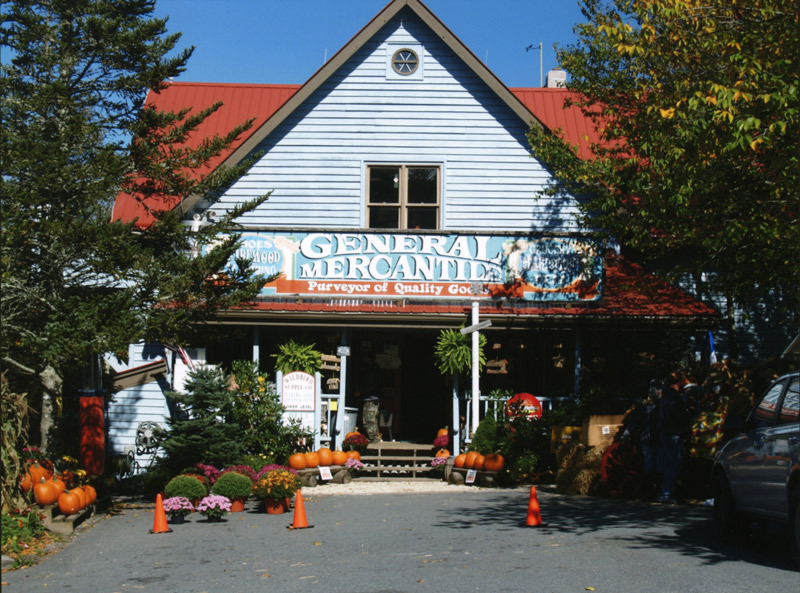 Local music, hiking, off-road biking, old-fashioned general stores, and great restaurants.